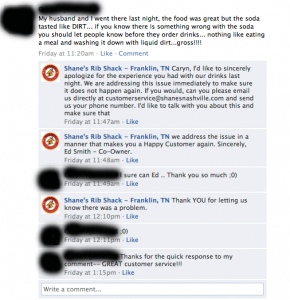 Whether you’re aware of it or not, your customers are probably leaving reviews about your brand on social media. If they’re not, getting them to do so isn’t very difficult, because people love leaving reviews. What’s more, your future potential customers love reading them. In fact, 88% Of Consumers say they trust online reviews as much as personal recommendations. Reviews are extremely important when it comes to buying decisions, to say the least. But how can you leverage all the reviews people are leaving about your brand on social media? How do you keep track of them? People leave reviews on their own page, on your page, through private message, and to their friends. And how do you use these reviews to boost your brand’s sales and credibility? In this article, we’re looking at 6 Effortless Ways to Leverage Your Online and Social Media Reviews. Customer reviews are great for giving you feedback about your brand and products. Your customers have used your products, and are therefore able to tell about their own experience with your brand. With their reviews, they are telling you exactly what they like, dislike, and give you constructive criticism to what you should change about your product. It’s difficult to notice your own flaws, but when you have people from the outside who aren’t dependent sources, you can get enlightened about things you had no idea about. When looking at feedback and deciding what category to put them in, you need to be able to sort out “disgruntled customers/hate”, “happy customers/endorsements” and “constructive criticism”. When you look at your reviews, you need to treat them with respect, but still, take them with a pinch of salt. What I mean by that is that an angry customer can write practically anything that makes your business look bad, and if this is the case, you need to take your time to analyze the relevance and the truth in what it is your customer is writing. Does the review hold any truth to it? You should never follow one review blindly, but if you see that the same thing is being repeatedly mentioned by other customers, it might be time to do something about the problem they are facing. with your brand. Remember that customer reviews are just as much for you as they are for your potential customers. Your reviews work as proof of how you are doing and how you can improve. Look at your competitors’ reviews. The reviews your competitors are receiving tells you a lot about what you should do as a brand. What complaints are they receiving? What can you learn from them? By taking the time to learn what your competitors are receiving complaints about, and then improving upon it yourself, you might just be able to attract some of their customers that have had enough with them. By looking at your competitors, you are also able to identify issues you might have early on. Find issues about your products. Often times, your customers find issues about your products before you do. That’s because they are using them in the field and really challenge their capability – whatever your product might be. For this matter, identifying bugs and problems with your products as quicköy as possible through reviews is a tremendously important way to address and solve the problems you have as quickly as possible. Here’s a review of the Mercedes Benz GLC-Class where they both get praises and tips on things they could improve. 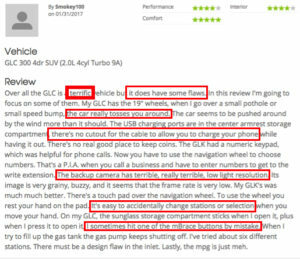 If Mercedes would take the time to read it, the review could be extremely valuable for them, and they could look at if what it is the reviewer is saying is actually true. Grant your customers wishes. Customer reviews are often a tool for customers to tell brands about things they want from them. People might beg you to create your product in a different color, change some features, or make it cheaper. If you notice a pattern where everyone is asking for it, then you have the opportunity to make a lot of people happy and feel listened to. 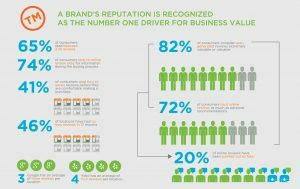 Your customers are the most valuable ambassadors for your brand. The same principle goes for influencer marketing. Influencers who are already using your products, before they partner with you, are far more likely to be trusted than people who have never heard of your brand before. The reason to this is because the people who are using your products have been real customers of your brand for a long time. These people have personal experiences and stories to tell and can tell people of how your products have improved their life. In other words, having ambassadors who have practically been ambassadors for your brand before they got paid/rewarded for it is the most trustworthy form of ambassadorship. 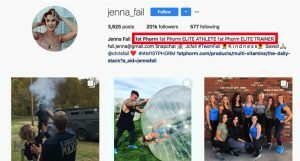 Andy Frisella, CEO of 1st Phorm supplements told in his podcast The MFCEO Podcast about how he only partnered with social media influencers who had been using his products, and had actually been customers of his brand and paying for the products. The reason to this, according to him, is that those are people who will be the most trusted when they start to endorse his products. They genuinely like the products and are prepared to use them even though they aren’t paid for it. Only then will the ambassadorship come off as authentic as it possibly can. 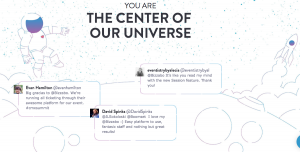 More and more people leave customer reviews, and the way people use them has evolved. Today, reviews have practically become a new source for customer service. Normally customer reviews don’t demand a response from you, but if you do, you’ll benefit from it. If someone takes the time to write a long review about your brand, whether it be positive or negative, you should always respond to it. If you don’t, it will seem like you don’t care about your customers. It is even more important that you take the time to respond to negative reviews than positive, of course, but that does absolutely not mean that you should ignore the positive ones. The general guideline you should follow is simple: respond to them all! Many brands don’t respond to customer complaints and I can guarantee you, it certainly doesn’t improve their disgruntled customers’ experience with their brand. More like the opposite. Some people will even continue to leave angry reviews across different platforms until they get your attention, and this is not something you want. You want to solve your customer’s problem as quickly as possible, show them that you care, that you are doing everything in your power to make things right, and that you appreciate them for letting you know about the issue they have encountered. Did you know that negative reviews are actually good for your brand? Well, they are. In fact, customers are skeptical towards brands who have only good reviews, and 67% of buyers trust brands more when they see both good and bad reviews. If you only have good reviews, people will believe that you’ve faked your reviews, and therefore, lose trust in all the positive ones. Of course, having someone who is bashing your company isn’t the greatest, but on the other hand, this is an opportunity for you to make things right. If you have a negative review and follow your guide on how you should respond to them, you can first off convert that angry customer into a happy one again. And secondly, you can also show to all the other people who see the review that you care about your customers and do everything in your power to make things right. Putting your customer reviews on your website can actually increase your sales. Considering the fact that 88% of online shoppers incorporate reviews into their purchase decision, having them placed at the end of the sales funnel is a tremendous way to increase your sales. Reviews on your website work as a way to increase trust in your brand because it gives people the opportunity to read about other people’s experiences with your brand. The first time you order something is always a bit scary because you have no idea what to expect. Thankfully, having reviews strategically placed will allow your potential customers to get some insight into what your brand is, and hopefully get less nervous and afraid of buying from you. Reviews work as word-to-mouth marketing. It spreads relatively fast, and people trust it. Did you, for example, know that brand reviews actually help your brand rank better in search engines? What’s more, online reviews can give your brand more exposure on places like Gooking.com, Tripadvisor, and Yelp. This allows more people to find you, and potentially also buy from you. Therefore, you want to encourage people to leave reviews as much as possible. Reward those who do, enable your Facebook reviews, run contests where the rule of entry is to leave a review, etc. The opportunities to increasing reviews are endless! With the help of reviews, you can also get a better understanding of what words your customers are searching for, and use, when talking about your business. The information you can extract from your customer reviews can be extremely helpful in search engine optimizing and knowing which keywords to aim to rank for. For example, you might believe that your customers are searching for one term, but based on the reviews they leave, you might realize that they are using completely different words to describe your business, compared to the ones you use. Nine out of ten customers read reviews before buying, and we’ve already talked about how 88% of people trusting reviews just as much as they trust personal recommendations. The more people that like you, the more you can charge your customers, and if you aren’t using your reviews to leverage your position and increase sales, you’re missing out. Therefore, you want to leverage your reviews in every way you can – not just at the checkout of your website, or next to a product. Incorporate them into your ads, create ads around them, and let people know where to find them. In other words, make your customer reviews the center of attention, and you’ll increase your sales.